Char Dham (sacred Hindu shrines of Badrinath, Kedarnath, Gangotri and Yamunotri) are situated in the snow-covered reaches of the lofty Garhwal Himalayas, Uttaranchal. This part of the Himalayas is referred as the land of the gods in the ancient Hindu mythology. The Char Dham Yatra (pilgrimage) is popular among the Hindus that thousands of pilgrims visit these four holy shrines every year. Devotees visit the four Dham (shrines) all for a spiritual union with the divine. The Char Dham Yatra is popular for centuries. 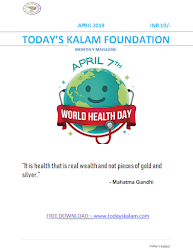 In fact, these places have been described in sacred scriptures as those places where devotees could earn the virtues of all the pilgrimages put together. With the passage of time these four Dhams came to have numerous temples. All the four holy shrines (Char Dham) are located at a height of more than 3,000 m above sea level. Since the shrines are covered with snow in winters, it is generally advised to go for Char Dham Yatra during summer months. Badrinath is situated at a height a height of 3,133 m. Badrinath shrine is located in the Narnarayan range against the magnificent Neelkanth peak. The residing deity at the Badrinath temple is Shri Badrinathji (Shiva). The Badrinath temple stands in a beautiful valley on the bank of River Alaknanda. The Badrinath temple traces its origins to Adi Shankaracharya (8th century) while the present temple was built by the Garhwal rulers. Below the Badrinath temple are the hot springs (Tapt Kund and Surya Kund) with waters at a temperature of 55°C. 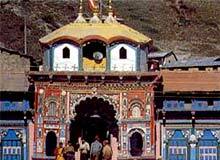 There are four other shrines (dedicated to Lord Vishnu) near to Badrinath shrine. They are Yogadhyan Badri, Bhavishya Badri, Bridha Badri and Adi Badri. Not far from the Badrinath temple is the beautiful valley of flowers and the Hemkund Lake. According to legends, Guru Govind Singh, the tenth Guru of the Sikhs, meditated on the banks of this Lake. Kedarnath is situated at a height of 3,581 m. The Kedarnath shrine stone stands against the backdrop of the Kedarnath range. According to legends, the Pandavas came here to pray to Lord Shiva after great battle of Kurukshetra to atone for killing their own near and dear ones in the war. It is said that Lord Shiva kept eluding the Pandavas and sought refuge at Kedarnath in the form of a bull. On being pursued, he plunged into the ground, with his hump exposed on the earth. Legends has it that his arms surfaced at Tungnath, his face at Rudranath, belly at Madmaheshwar, his locks and head at Kalpeshwar. These spots where he reappeared form the Panch Kedar. The present Kedarnath temple is said to have been resurrected by Adi Guru Shankaracharya. Gangotri is an important pilgrim and tourist place. Gangotri is located at 3,048 m above sea level. The Gangotri glacier is the original source of river Ganga. There is a temple dedicated to Goddess Ganga and the sacred stone where King Bhagirath is believed to have worshipped Lord Shiva. There is a natural Shivlinga submerged in the river (It is believed that Lord Shiva received the Ganges here). Yamunotri is also an important pilgrim as well as tourist place. The shrine of Yamunotri is located at a height of about 3,235 m and is dedicated to the river Goddess, Yamuna. The main pilgrim place at Yamunotri is the temple of Goddess Yamuna. There are many hot water springs in the vicinity of the temple.